Microsoft Teams is the newest collaboration tool which fits perfectly into the modern digital workplace. The platform allows you to seamlessly integrate your most valuable tools to ensure the best hub for teamwork. 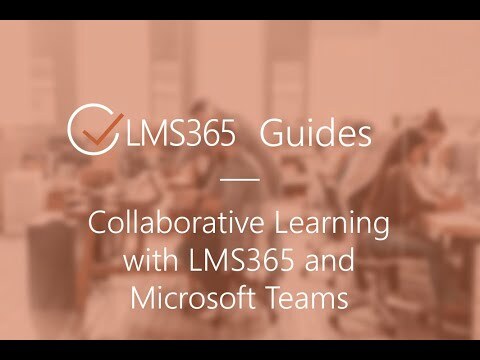 The LMS365 integration for Microsoft Teams enables learners to find, take and track their training directly inside the Microsoft Teams platform. You also have the opportunity to use our intelligent LMS365 BOT to help you find just the training you're looking for. Please note: To trial the LMS365 for Teams app you will need to have a fully installed trial on your own Office 365 Tenant, using the ‘Free Trial’ will not work. With Teams, Microsoft created a chat-based workspace that acts as a hub for teamwork, making it easier to add the social part to learning. Add the LMS365 Teams integration and give your team built-in access to everything they need right in Office 365.